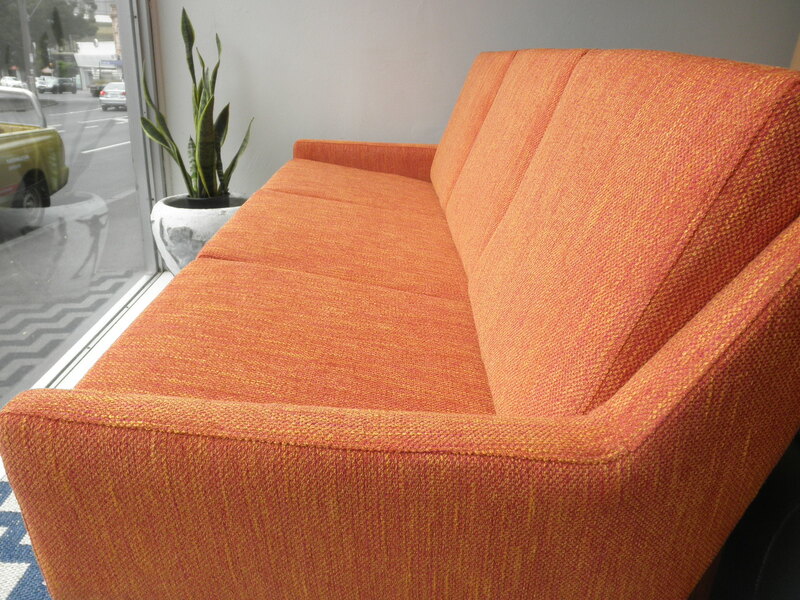 This Fred Lowen classic three seater has been fully restored to factory original by our upholsterer in a high end Zepel Coco fabric in a rich orange colour. It has a great line and looks large and generous while taking up a very small footprint in a room. This design really suits compact spaces where they retain the lightness of his timber framed designs but offer a more luxurious fully upholstered frame. There is plenty of space to sprawl while the seat cushion is a perfect length for comfort unlike many modern designs that are too deep to be comfortable. 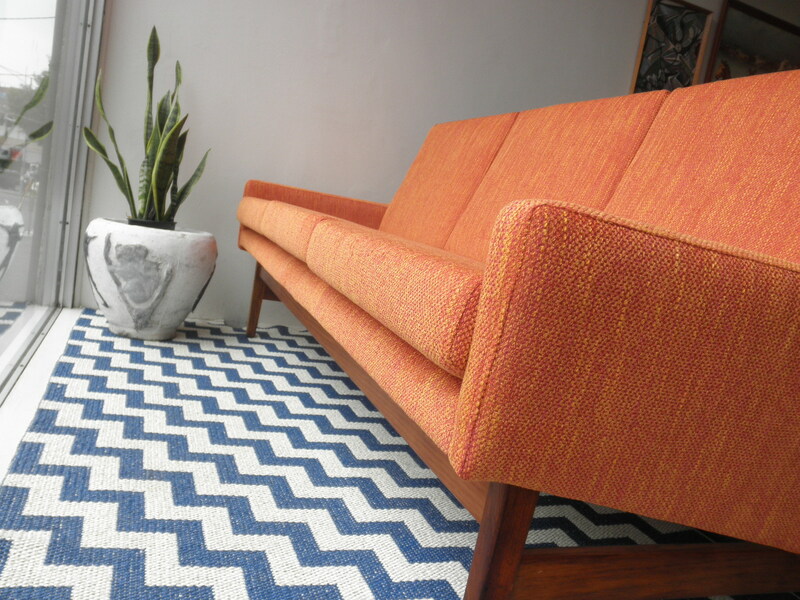 Lowen was a pioneer of ergonomic design principals in Australia where comfort had been always secondary to style. 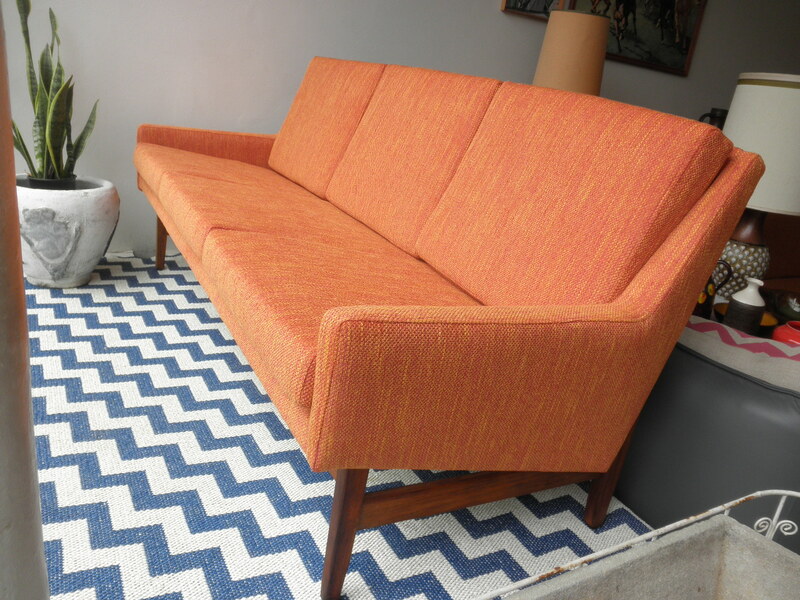 We have a second matching 3 seaters in this fabric if a second one is required also.